Science salon Edge.org is permeated with a sense of wonder. 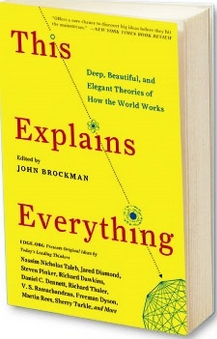 Maybe that's what lured in the many brainy contributors (Steven Pinker, Brian Eno) to This Explains Everything: Deep, Beautiful, and Elegant Theories of How the World Works, edited by John Brockman ($18, Harper Perennial). IS THERE AN EXPLANATION FOR, WELL... EVERYTHING? 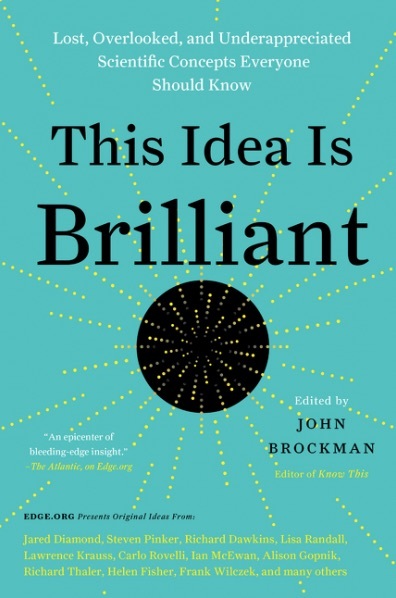 This is what editor John Brockman asked some of the world's foremost thinkers. 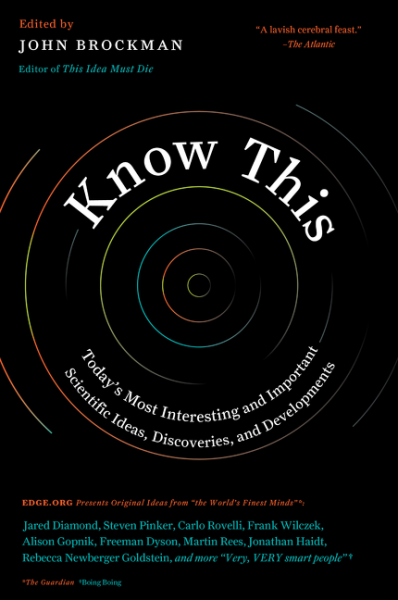 He shares their answers with Veronica Rueckert — representing 150 of the most fascinating theories of how the world works. For 15 years, the literary agent John Brockman has been posing open-ended questions on his Web site Edge.org. Last year’s question — “What is your favorite deep, elegant or beautiful explanation?” — drew responses from more than 150 scientists and creative thinkers. The geographer Jared Diamond wonders at the 1950s experiments that revealed how plants and animals generate electricity; the anthropologist Helen Fisher thinks we can transcend the old nature-nurture debates by studying how the environment can turn genes on and off. But the meta-award goes to the philosopher Rebecca Newberger Goldstein for answering one question with another: “Where do we get the idea that the beauty of an explanation has anything to do with the likelihood of its being true? I was told some years ago that the reason why some species of sea turtles migrate all the way across the South Atlantic to lay their eggs on the east coast of South America after mating on the west coast of Africa is that when the behavior started, Gondwanaland was just beginning to break apart (that would be between 130 and 110 million years ago), and these turtles were just swimming across the narrow strait to lay their eggs. Each year the swim was a little longer—maybe an inch or so—but who could notice that? Eventually they were crossing the ocean to lay their eggs, having no idea, of course, why they would do such an extravagant thing. THE DISCREET CHARM OF SCIENCE As we read on the site guided and animated by John Brockman, Edge's demand for 2012 has been designed by Steven Pinker, psychologist and cognitive scientist, and was discussed with Stewart Brand, Kevin Kelly and George Dyson. And the answers do not disappoint. In fact, reinforce, if proof were still needed the deep sense of cultural path Edge: breaking the walls that traditionally separate scientific specialties and interdisciplinary approach to research in this time of great change, not only preference intellectual or fashionable slogan, but real preconditions for an exploration of the very sources of innovative knowledge. SCHOLARS AND SCIENTISTS DELVE INTO BIG IDEASFROM Darwinian evolution to the idea that personality is largely shaped by chance, the favorite theories of the world's most eminent thinkers are as eclectic as science itself. Every January, John Brockman, the impresario and literary agent who presides over the online salon Edge.org, asks his circle of scientists, digerati and humanities scholars to tackle one question. ... 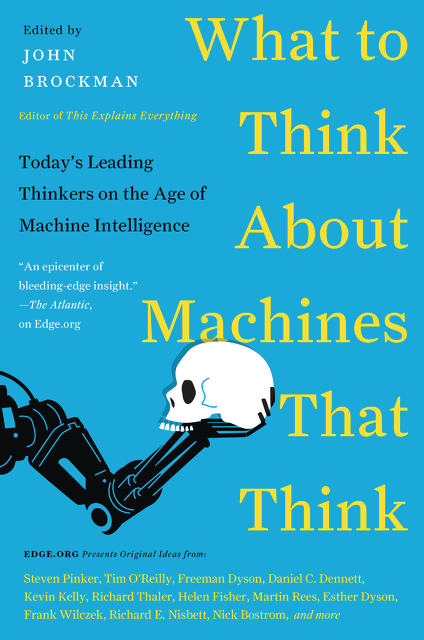 The responses, released at midnight on Sunday, provide a crash course in science both well known and far out-of-the-box, as admired by the likes of Astronomer Royal Martin Rees, physicist Freeman Dyson and evolutionary biologist Richard Dawkins. Love is… at root, biology. A host of endocrine-system-regulated hormones relay chemical messages around the body and brain. Complex loops of physiological feedback between endocrine, nervous, and reproductive systems regulate our sexual responses and maintain homeostasis via hormone-producing glands such as the pituitary and thyroid. We feel the effects of ‘love’ throughout our bodies; even with the reproductive system completely excised our hormones would continue their thrilling course. And we feel it in our brains, in our minds. Modulated by hormones such as oxytocin, neurotransmitting chemicals at synapses lead to inhibition or firing of networks of neurons (baby, you flood my synaptic clefts like no other). Firing or inhibition consolidates or weakens these networks – thus do we fall in, or out of, love. Steven Pinker, “Evolutionary Genetics and the Conflicts of Human Social Life,” in This Explains Everything: Deep, Beautiful, and Elegant Theories of How the World Works, ed. John Brockman, 1st ed (New York: Harper Perennial, 2013), 45. WHAT'S YOUR FAVORITE SCIENCE THEORY?Bangalore: John Brockman, the literary agent who presides over the online salon Edge.org every January puts forward a question and asks his circle of scientists and scholars to tackle the question. ... many nominated ideas were not from those found in science courses taught in school or college. Neuroscientist Robert Sapolsky of Stanford University thinks the most beautiful idea to him would be emergence, in which complex phenomena almost magically comes into being from extremely simple components. For example, a human being arises from a few thousand genes. The intelligence of an ant colony - labor specialization, intricate underground nests comes from the seemingly senseless behavior of thousands of individual ants. He says that "Critically, there's no blueprint or central source of command and out of this emerges a highly efficient colony." The concept of collective intelligence proposed by the science writer Matt Ridley goes in this direction: we live in a society centered on the cult of 'individual intelligence, the charisma and meritocracy, but the development of the human species was gregarious but guaranteed the ability to operate complex systems "networking", through the division of labor and the sharing of objectives. Darwin's theory of evolution by natural selection, Einstein's reinterpretation of the cosmos through general relativity and the idea that we live in one of an infinity of universes are some of the most elegant and beautiful human ideas, according to a group of the world's leading thinkers. A sort of scientific-cultural online salon, Edge poses its annual big question to a select group of thinkers and publishes their responses. This year's essayists include biologist Richard Dawkins, geographer Jared Diamond and computer scientist David Gelernter. It all goes online at 12:01 a.m. Sunday morning. edge.org. WHY IS SCIENCE SO OBSESSED WITH BEAUTY? But they do like to talk about beauty, a lot, at least when mass media are listening. Edge.org, a gathering point for celebrity scientists and public intellectuals, spent the whole of 2012 mulling over a question proposed by Canadian psychologist Steven Pinker: “What is your favourite elegant, deep or beautiful explanation?” The 194 submissions, which included quantum theory and Einstein’s explanation of gravity, were recently published by Harper Perennial under the title This Explains Everything. ... presents a very interesting hypothesis as to how the brain works: the brain, it explains, makes decisions through iterative event synthesis based upon experience exceeding a judgmental threshold. In addition, the author shows how species with limited frames of reference concentrate and populate in areas away from the largest numbers of species. An important treatise on how the world works in real terms. Its explanations are not tautologies; however, the examples cited comport with classic problem areas in the natural sciences and engineering. The contents of this book could provide for some very interesting scientific and philosophical debates on the nature of how things operate. We sometimes tend to think of ideas and feelings that our intuition shooting, intrinsically superior to feelings that are based on reason and logic. Intuition - the 'underbelly' - is deified as the noble savage of mind, those intrepid short shrift to the pedantry of reason. Especially artists, who often operate intuitively, are prone to this belief. By a number of experiences I have become skeptical. This piece is taken from the book "This explains everything. John Brockman, founder of the website edge.org , prepares an annual demand of a selection of the most interesting scientists and artists in the world. ...I enjoyed reading this book immensely and spent more time on it, per page, than on any other book. Each of the 148 bite-size chapters is a delight, and trying to summarize the content would lead to a book-length review. In a review published early last year in The Observer, the cultural entrepreneur John Brockman had his friend artist James Lee Byars had shared with him a sort of epiphany that changed his life. Byars believed that "to achieve a satisfactory level of knowledge would be crazy to go to Widener Library at Harvard and read six million books. Instead, they should be locked up in a room at the 100 brightest minds in the world and have them ask each other the things we were wondering themselves. " The experiment did not work exactly as I imagined Byars, but that room Brockman built virtually in 1996 to create Edge.org, a site that brings together more than 600 scientists, artists, philosophers, entrepreneurs, and other intellectuals who share their knowledge free with the world, in order to "reach the boundaries (edge) of knowledge." One of the most interesting ways to share in this forum is through the question posed annually. In 2010, the question was "how the Internet is changing the way you think? ". In 2011, the question was "What scientific concept would improve your thinking?". And the most recent question was "what is your explanation profound, beautiful or elegant favorite?". ... If you review some of the more than 190 answers posted online find, among others, a physicist who explains why his favorite is "why we live in a world understandable" and a psychologist who vote for the "sexual conflict theory "along with many others, from the most general to the most specialized. Certainly, reading material for several months. THE MOST BEAUTIFUL EXPLANATIONS "deeply satisfying...This Explains Everything delivers." 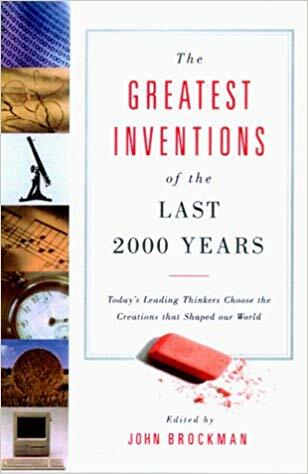 "A COLLECTION of essays by big thinkers answering big questions may never be a page-turner, but should still be deeply satisfying. And This Explains Everything delivers." Every year John Brockman, editor of the online salon Edge, puts forth a question that he hopes will inspire fascinating answers from leading scientists and thinkers, such as Steven Pinker, Jared Diamond, and Sherry Turkle. He has done it again. This time he asked, "What is your favorite deep, elegant, or beautiful explanation?" A multiplicity of answers are offered in the compact, accessible essays that form "This Explains Everything: Deep, Beautiful, and Elegant Theories of How the World Works" (Harper), edited by Brockman. If you want to increase the intellectual heft of your reading while keeping it entertaining, "This Explains Everything" will do nicely. 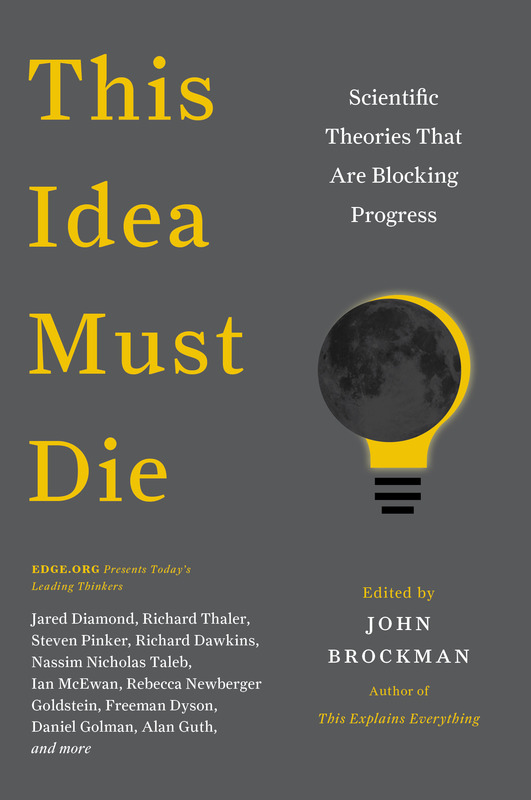 The book also focuses on lesser-known ideas, such as the modular mind. These sections are the ones who make the work fun and interesting. One or the other essay is difficult to understand for the layman, most texts but present themselves as easily digestible and entertaining. No contribution is longer than four pages. The shortest essay is even only three words: "Keep it short." He brings an idea from philosophy to the point - that of Occam's Razor. It says that one should be frugal in the formation of scientific theories: If you have the choice between several possible explanations of the same facts is to bring forward the simplest theory - that is the one that gets by with as few hypotheses. The tightness of the contributions makes the book even to the profitable reading if you just only has ten minutes time to read. ...The compilation of the brilliant, sometimes even stunning ideas can be recommended to all who are interested in science. Stanford professor and neuroscientist Robert Sapolsky chooses to discuss swarm intelligence. "Observe a single ant," he notes, "and it doesn't make much sense – walking in one direction, suddenly careening in another for no obvious reason, doubling back on itself. Thoroughly unpredictable. The same happens with two ants, with a handful of ants. "But a colony of ants makes fantastic sense. Specialized jobs, efficient means of exploiting new food sources, complex underground nests with temperature regulated within a few degrees." What's fascinating about all this, Sapolsky goes on to say, is that "there's no blueprint or central source of command." Rather than "the wisdom of the crowd," the complexity of an ant colony depends on simple behavior algorithms "that consist of a few simple rules for interacting with the local environment and local ants." Two eerie story collections and two comic novels are part of this month’s crop, along with an anthology that has science writers aiming to explain, well, everything. 411 pages. Harper Perennial. $15.99. Mr. Brockman, the editor and publisher of Edge.org, asked the thinkers in his online science community to share their favorite “deep, elegant or beautiful” explanation. . . . a handy collection of 150 shortcuts to understanding how the world works. Elegance in this context means, as the evolutionary biologist Richard Dawkins writes, the “power to explain much while assuming little.” . . . Among the things this book will teach you? How much you don’t know.